Last year, I drew often, but not everyday. So this year, I am challenging myself to draw every day – to build a new habit, to explore, to improve my skills. I set aside a special sketchbook for these drawings – it’s an “altered book” by artist Margi Laurin. She takes old library books that are in bad shape and converts them into all kinds of journals. I’ve got a sketchbook version that has watercolour-strength paper in it. 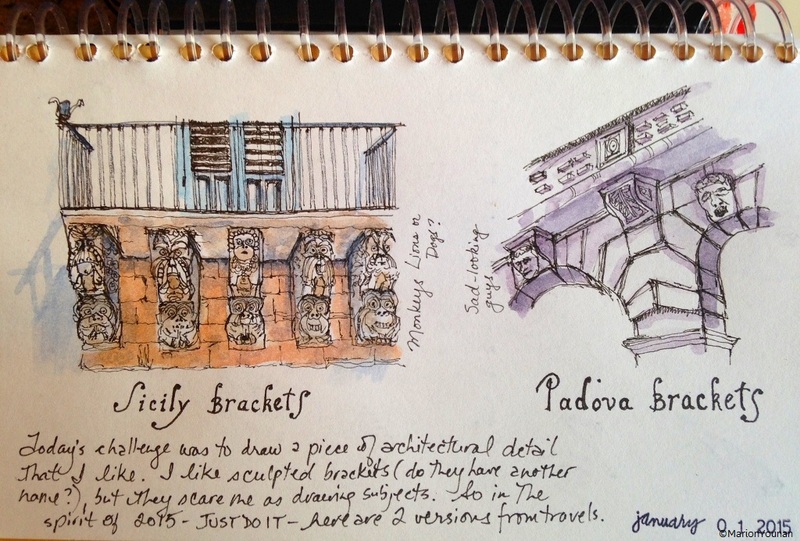 After checking around for sketching prompts, I settled on the “Everyday Matters Challenge” list from Danny Gregory and Karen Winters. But this list only went up to 328 days, so I added more prompts to bring it up to 365, and started counting down from 365. I started on December 31, and so far so good – ha ha! From time to time, I’ll post anything that turns out from these explorations. 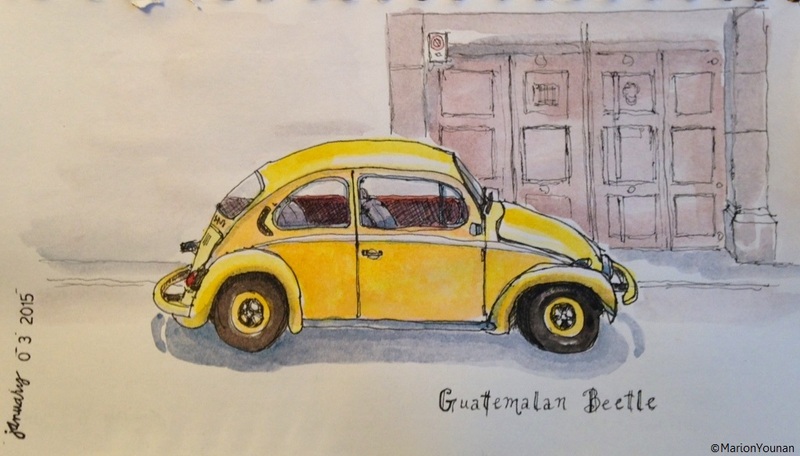 For example, today’s prompt was to draw a car I like – I used a photo of a vintage VW my son took while on holiday in Guatemala. No pencil pre-drawing, but went right to pen, and was surprised that, despite a few wonky lines, it looks like an old VW. I’m doing a drawing daily challenge as well, interested in following your journey 🙂 Love your work so far!